Snowglobe may be used for decorative display, or makes the perfect gift! 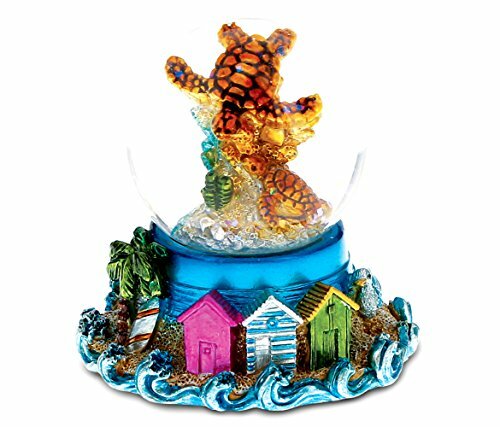 Cool Summer Sea Turtle 45mm Snow globe is the perfect gift for turtle lovers. You will receive one glass beach themed snow globe display item with each purchase. Decor item is made of high quality resin material and glass. Item is very durable for display. This Decor accent is the perfect gift for any occasion. Make your home feel cozy with this item. If you have any questions about this product by CoTa Global, contact us by completing and submitting the form below. If you are looking for a specif part number, please include it with your message. Alexander Taron Importer PR1222 Perzy Decorative Snowglobe with Small Penguin, 2.75" x 1.5" x 1.5"
Alexander Taron Importer PR1151 Perzy Decorative Snowglobe with Mini Penguin, 1.5" x 1" x 1"
Alexander Taron Importer PR1079 Perzy Decorative Snowglobe with Medium Snowman & Gift, 5" x 3" x 3"